Stopping minors from participating in gambling activities is one of the key goals for the Dutch gaming regulator during the next two years. 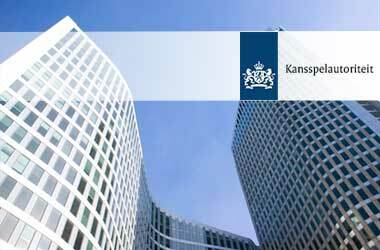 The Kansspelautoriteit – which is the Dutch Gaming Regulator recently released its Supervisory Agenda for 2018-2019 and highlighted protection of minors from gambling related activities as a key priority in the agenda. The Kansspelautoriteit promised that it would take a closer look at how to protect youngsters and more vulnerable members of Dutch society from being introduced to gambling. This is because recent findings show that a variety of gambling operators, especially those who have not been licensed to operate in the Netherlands, have been violating the rules put into place to protect minors from gambling. Some of them even do this intentionally and target minors specifically. Minors are very vulnerable to the effects of gambling and gambling advertisements. There have been studies that have shown that developing an appetite for gambling at an early age will open them up to potential gambling addiction when they get older. Gambling addiction has always been a concern for gaming regulators as problem gamblers have had to battle issues such as an increase in debt, depression and often loss of employment, and more. Minors face the same problems with the potential for poor performance at school and truancy. This can continue to build and result in bigger problems as they grow up. Another issue that the Kansspelautoriteit is focusing on is how to prevent gambling customers from falling into addiction. The gaming regulator will be identifying operators that are not doing enough to curb their customer’s self-destructive habits. Reputed online gaming operators usually put in place measures that will help problem gamblers deal with their addiction issues. Some of these measures include a self-exclusion list, customizing their online software so it limits the amount and time problem gamblers can spend online. The Kansspelautoriteit feels that operators should take further steps to identify problem gamblers and seek to curb their playing. Finally, there is the issue of unlicensed online gambling operators. Kansspelautoriteit is expected to crack down on those that offer unlicensed services to Dutch players in 2018. This will prove to be quite a challenge for the Dutch gaming regulator as illegal online gaming providers are well versed in bypassing regulations and evading the authorities.